let’s make the web more accessible. 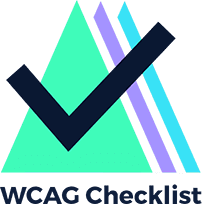 The WCAG Checklist App is a free tool that lets developers, designers, managers, and researchers optimize websites and meet important web accessibility guidelines with the help of a simple checklist. Check it out! 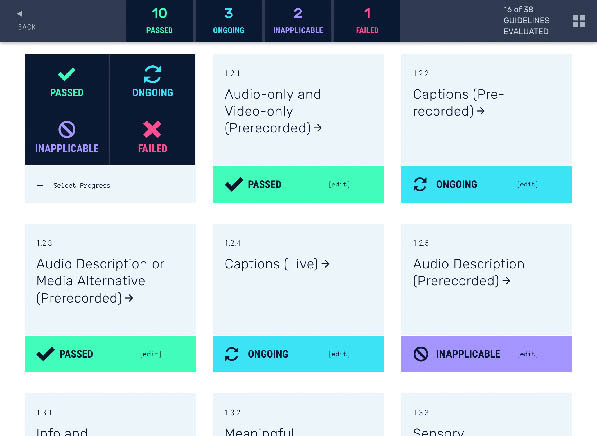 Great web accessibility isn’t a thing you do; it’s a side-effect of awesome, thoughtful work. The web is a critical resource in virtually every aspect of our lives: education, employment, government, commerce, healthcare, recreation, and more. Making the web accessible to those with or without disabilities allows everyone to participate, by providing equal access and equal opportunity to all. Keep it simple. Make it work. 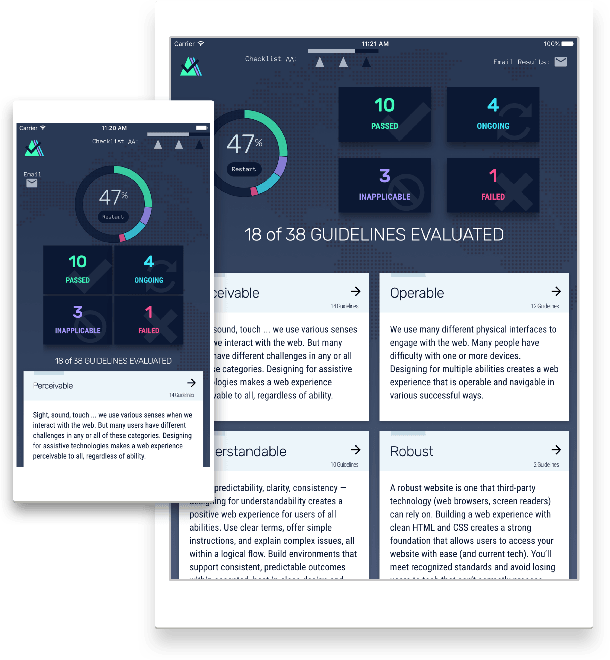 The app provides a simple checklist that outlines three levels of accessibility compliance. These guardrails, which align with the WCAG 2.0 Guidelines, are grouped into WCAG’s four categories: Perceivable, Operable, Understandable, and Robust. Sight, sound, touch … we use various senses when we interact with the web. 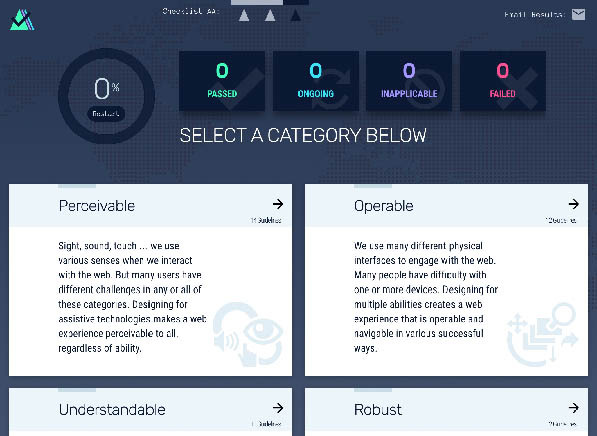 But many users have different challenges in any or all of these categories. Designing for assistive technologies makes a web experience perceivable to all, regardless of ability. We use different physical interfaces to engage with the web (keyboard, mouse, touchpad). Many people have difficulty with one or more devices. Designing for multiple abilities creates a web experience that is operable and navigable in various successful ways. Logic, predictability, clarity, consistency — designing for understandability creates a positive web experience for users of all abilities. Use clear terms, offer simple instructions, and explain complex issues, all within a logical flow. Build environments that support consistent, predictable outcomes within accepted, best-in-class design and functionality practices. A robust website is one that third-party technology (web browsers, screen readers) can rely on. Building a web experience with clean HTML and CSS creates a strong foundation that allows users to access your website with ease (and current tech). You’ll meet recognized standards and avoid losing users to tech that can’t correctly process your offering. This project is based on the wonderful web accessibility content found at www.wuhcag.com and written by Luke McGrath in combination with the work from the W3C's WCAG 2.0 Guidelines. 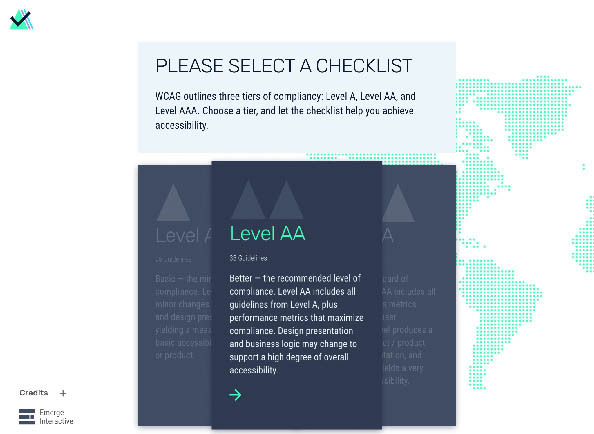 The WCAG Checklist App not only makes accessibility understandable, actionable, and educational, it makes the web more accessible to all. Emerge is a digital agency in Portland, OR dedicated to making things that matter. We specialize in digital product strategy, UX design, app development and mobile app development.